This should be good! Me being from Harlem I guess i get a lil biased when it comes to Harlem Music! Cant wait for this to drop, but why the instrumentals on the album??? 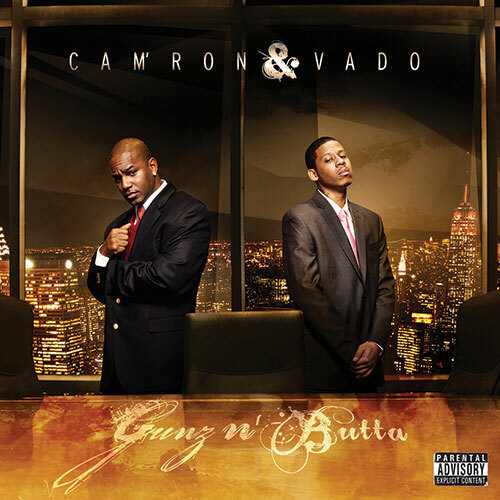 This entry was posted on April 7, 2011 at 10:03 pm and is filed under Album Cover, Album Release Date, Camron, Hip-Hop, Release Date, vado with tags Cam'Ron x Vado - Gunz & Butta Album, Cam'Ron x Vado - Gunz & Butta Album [Artwork x Tracklist x Release Date], DipSet, Gunz & Butta Album Artwork, Gunz & Butta Album Release Date, Gunz & Butta Album Tracklist, Harlem, Most Hated, U.N..	You can follow any responses to this entry through the RSS 2.0 feed. You can leave a response, or trackback from your own site.